Martha's Vineyard is located south of Cape Cod, famous for being an affluent summer colony. Now you have a reason to make this destination race your "RUN-CATION". Martha's Vineyard offers 2 beautiful courses for both the half and the full marathon that showcase this amazing island in Massachusetts. Choose either OAK BLUFFS, EDGARTOWN or TISBURY for your stay on the island with easy transportation to the race start. Each town has it's own unique personality with very reasonable hotel rates. You decide which town is best for you. FLYING??? Travel to Martha's Vineyard is easier than you think. You can fly directly on to the Island (MVY) from any city in the U.S. with as little as one connection and non-stop from many major east coast cities. Other optional airports are Providence, RI (PVD) which is 74 miles which is approximately a 1 hour 24 minute drive to the Steamship Authority ferry in Woods Hole or Boston MA (BOS) which is 76 miles to the ferry. DRIVING??? You can drive to Woods Hole (Falmouth) and park your car in Woods Hole and walk on the ferry or you can drive your car on the ferry for an additional fee (reservations required). Hotels on the Island: Below, you have a number of hotels to choose from with contracted rates. Most of the contracted rates require a 2 night minimum stay. Ferry from Woods Hole: If you bring a car over on the ferry, you will be required to make a reservation for your vehicle at www.steamshipauthority.com. Vehicle reservations vary depending on the size of your vehicle. It is highly recommended that you make your car reservation for the ferry in advance. The ferry has limited space and if you wait the last minute you may not be able to bring your car over. You can also take the ferry over by foot. Car rentals are available on the island but limited. Hotels on the Cape: If you live in the area or plan on staying on the Cape, there are a number of hotels in the area that do not require a 2 night minumum. You can stay at most hotels for only one night in Falmouth and on the Cape. Coming over race morning? Ferry from Woods Hole: The race starts at 8:30am and there are (3) ferry times you can take race morning that will get you to the start line in time: 6:00am, 6:30am and 7:00am. We recommend that you take the earlier ferry. If you choose not to fly directly on the island you can take the ferry from Woods Hole to Martha's Vineyard. It's a beautiful 45 minute ferry ride to either Vineyard Haven or Oak Bluffs. If you are walking on the ferry you do not need to make reservations. If you are driving on the ferry, reservations are required. The SeaStreak offers service from NJ, NYC, and New Bedford, to Martha’s Vineyard. Check out some of these great B&B sections within a 1/2 mile from the finish line. Walk to all Oak Bluffs has to offer. 5-10 Min. walk to the Harbor, Town and Inkwell Beach. Amazing location! This property is 2 minutes walk from the Gingerbread cottages. Outside there is a private patio, outdoor shower and Gas grill. Inside there is two smart Tv, Wifi, Tile floors, Marble shower, Laundry and all turn key including linens. The added bonus is this unit is brand new construction complete with new furniture and a stocked full siz e kitchen. MARTHA'S VINEYARD HOTELS: You have MANY choices when staying on the Vineyard. Here are a few hotels we have partnered with. NOTE: Bus transportation to the START is provided from OAK BLUFFS, EDGARTOWN & TISBURY. The race finishes in Oak Bluffs and bus transportation back to Edgartown and Tisbury is available after the race. 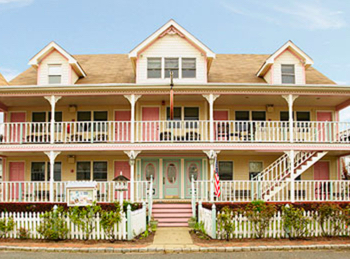 Be a kid again at this whimsically renovated Martha's Vineyard hotel. Formerly the Wesley Hotel, this new incarnation is designed as a nod to Oak Bluffs’ history as a summer "camp" destination for the Methodist Church. Located 1 block from the beach, this historic seaside hotel is an 11-minute walk from the ferry dock and 6.4 miles from Martha's Vineyard Airport. Quaint rooms feature private bathrooms; some have TVs. A 3-bedroom apartment-style suite offers a separate living area and a full kitchen. The historic Harbor View Hotel on Martha’s Vineyard, located in the very heart of Edgartown, Massachusetts, has been the second home for generations of families. Martha's Vineyard Bed and Breakfast. Island luxury with a twist. All rooms at this chic B&B have en-suite bathroom, individually controlled heating and A/C, WiFi, hair-dryer, Bluetooth radio/speaker, luxurious Frette linens and towels, sophisticated Gilchrist & Soames toiletries, cable TV/DVD and ceiling fan. 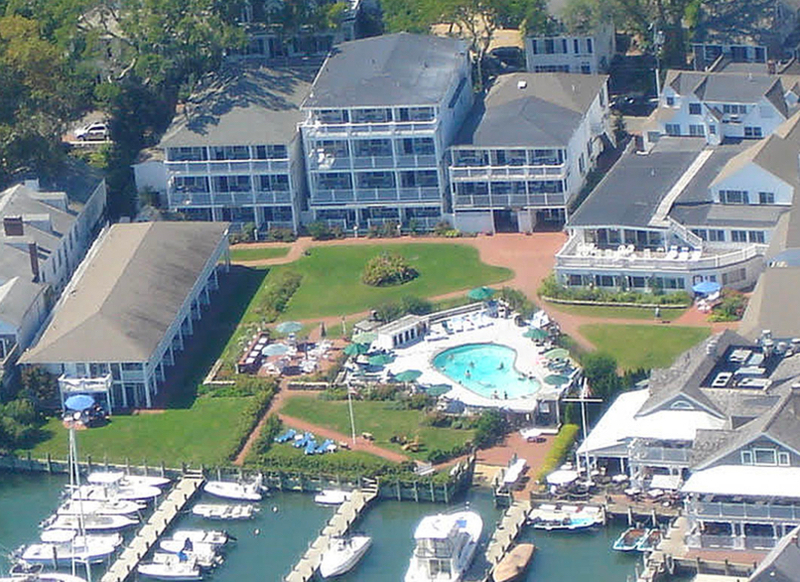 The Island Inn is a 51-room townhouse and condominium suite resort located in Oak Bluffs, MA. Our guests enjoy a centralized location steps from Martha's Vineyard's renowned beaches. We are a short walk along Beach Road to Joseph Silvia State Beach, and a 15 minute walk down Seawall Ave to the Oak Bluffs beaches, downtown Oak Bluffs, with its historic flying horses carousel and "Gingerbread" houses. The Winnetu Oceanside Resort, which includes the Winnetu Hotel and surrounding Mattakesett Properties’ private home rentals, is located where everyone visiting Martha’s Vineyard wants to be… at South Beach in Edgartown. “The Vineyard” is New England’s largest island – consisting of six towns with plenty to do – everything from shopping to dining to spectacular beaches, bicycle paths and sightseeing activities. 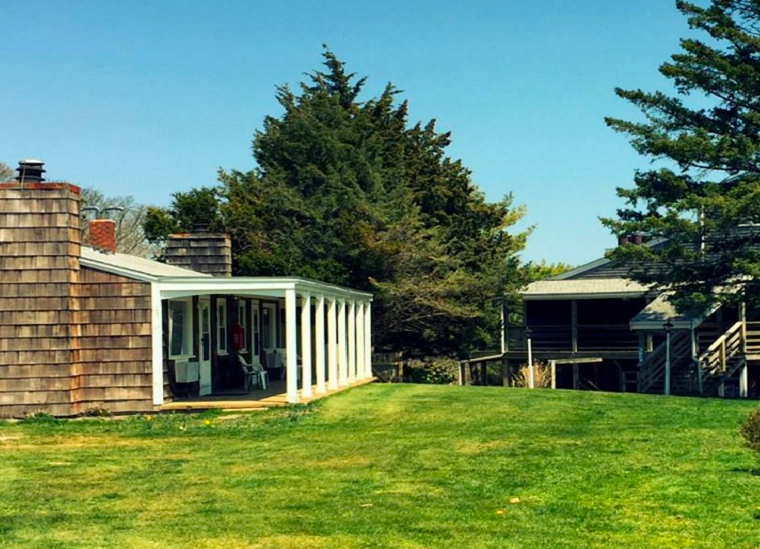 Established in 1791 and rebuilt in 2003, guests enjoy free, complete use of our Vineyard Haven health club complete with over 20 classes including yoga & Pilates, pool & spa. Guest rooms range from deluxe rooms and suites offering soaking tubs, flat-screen TVs, fireplaces and balconies with views of Vineyard Sound to Queen Bed rooms with Juliet balconies and village views. 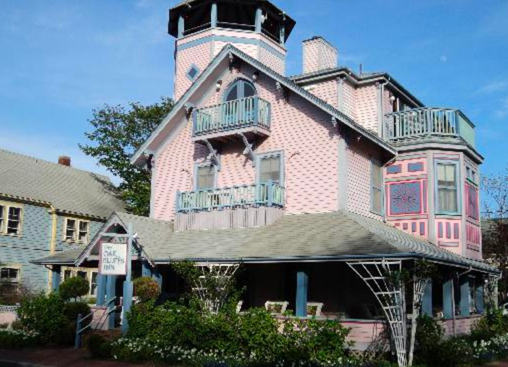 Madison Inn is a charming seaside hotel located in the town of Oak Bluffs on Martha’s Vineyard Island. We are just steps away from the blue-green waters of Nantucket Sound, and within easy walking distance from the Oak Bluffs harbor. Come spend some time with us, stay at our cozy inn, play in our lively town and explore our beautiful island. We are located at the top of Circuit Avenue, the main street in Oak Bluffs, steps away from dining, shopping, nightlife and entertainment. The beach is a five-minute walk on a sleepy residential street lined with picturesque gingerbread cottages. Head in the opposite direction on the main street and you'll find the harbor. Situated on Edgartown Harbor among gleaming white Captain’s Homes and flowering English gardens you can spend the day poolside at the Harborside Inn. Guests will enjoy watching the boats come and go as they listen to the peaceful sounds of the ocean. The Harborside Inn on Edgartown harbor offers 90 guest rooms including balcony rooms, garden view rooms, harbor view rooms, and suites. Located in quaint Edgartown Kelley House is a gem among Martha’s Vineyard hotels that has been offering guests classic Vineyard charm since 1742. Comprised of four classic houses and cottages offering a range of well-appointed room and suites,Kelley House is the choice in Edgartown hotels. Situated just steps from the waterfront. The Dockside Inn’s 21 tastefully decorated rooms are perfect for couples, families, and wedding groups alike, and our in-town, harbor-side location makes us the perfect place from which to explore and enjoy all of the fabled historic sites and beautiful vistas that make a stay on Martha’s Vineyard such a memorable experience. Originally constructed in 1873 the Nashua House Hotel is a fabled and historic Victorian-era hotel located in the heart of Oak Bluffs Massachusetts. Several of its charming and always affordable rooms have private bathrooms, a few others share a 2nd floor balcony, and still others have picturesque water views looking out over Ocean Park and it's fabled gazebo to Nantucket Sound. Located in the heart of charming, downtown Edgartown, Vineyard Square Hotel & Suites invites you to settle in for a Martha's Vineyard getaway filled with warm hospitality and comfortable accommodations. Walk outside our boutique Edgartown hotel and delight in the gourmet restaurants, quaint shops, and vibrant arts scene of Martha's Vineyard just steps from our front door. Pre-race: BUS TRANSPORTATION to the start at the High School for both the Half and Full Marathon is available from TISBURY, OAK BLUFFS and EDGARTOWN. The finish is in Oak Bluffs, so bus transportation will be available from Oak Bluffs to back to Edgartown and Tisbury, post race. Walk the beaches. Many beaches, especially ‘Up-Island’ are closed to the public during the summer months. Take this opportunity to enjoy these unspoiled stretches with no one else around! Shop. The winter is a great time to pick up bargains. Take advantage of the winter wind-down to grab that island keepsake at a discount, or shop for next season as stores clear out for next summer. Get back to nature. Wonderful hiking trails abound – from a gentle strolls to energetic hikes. Plus, the views can be stunningly different with less (or no!) foliage to obscure the expanse. See what new spots you can discover. Eat. Tons of great restaurants are open year round all over the island. Many run special theme nights or discount nights. Check with us for the latest offerings. Pamper yourself. Enjoy a massage or facial. Relax, unwind, de-stress. Onsite here at Vineyard Square, Sea Spa Salon is offering great daily discounts on treatments. Support a community event. Locals come out to play and support their favorite causes in the winter. Every week there boasts an array of events to support many Island charities. Join in and enjoy the local color! Catch a movie. In addition to the year round big box office releases at Edgartown Cinema, each Saturday you can enjoy an offering from MV Film Society at the Katherine Cornell Theatre in Vineyard Haven. Sometimes a documentary, sometimes a foreign film – always something a little off the mainstream. Gallery Stroll. Enjoy the local art scene at a quieter pace, chat to the gallery owners about the collections while they have time to chat back. Then hit one of the many craft or artisan fairs at this time of year. Work out. Jog through the quiet streets. Take a yoga class at one of our many amazing studios. Spin, hit the Y for some Zumba or other fun class before checking out their pool and other great facilities. Recommit to your workout with a fun getaway to our nearby island! Disconnect and reconnect. Turn off the phone (yes we said it!) and reconnect with a loved one. The quiet of the Vineyard in winter is the perfect atmosphere to rediscover why you fell in love. Stroll (or Jog) North Water Street. Beautifully renovated captains’ homes date to when Edgartown was a major whaling port called Great Harbour. Don’t miss the Emily Post House garden at 34 Fuller Street. The famous advocate of all things mannerly summered there from 1927 until her death in 1960. She wrote often of her garden, especially her Dahlias, which are still lovingly tended by the current owners. Revel in Beach Nightlife. Ride out to Menemsha, join the throng on the beach, and picnic in the stunning light of the setting sun. Revel in the party atmosphere as children play, impromptu jam sessions break out, music fills the air, and new friends are made. Let us call ahead to Larsen’s Fish Market to arrange a take-out New England Clambake of lobster, clams, corn on the cob and all the fixin’s.